Back on the Road Bike – Jet. Set. Jeanne! 90 days after I was catapulted from my bike after being hit by a ’98 Suburban, I took my new Felt ZW3 for its first Central Park spin. It felt glorious to be back on the bike in the city, not far from the scene of the accident. It was a mental milestone for me – a personal triumph of sorts. I’m still recovering from some of the physical trauma of the accident, undergoing continuous physical therapy and acupuncture for my neck and shoulder injuries. But the mental recovery has taken me quite a bit longer, and today was the first time I felt comfortable riding as a roadie in the city again. And I’m glad I did. 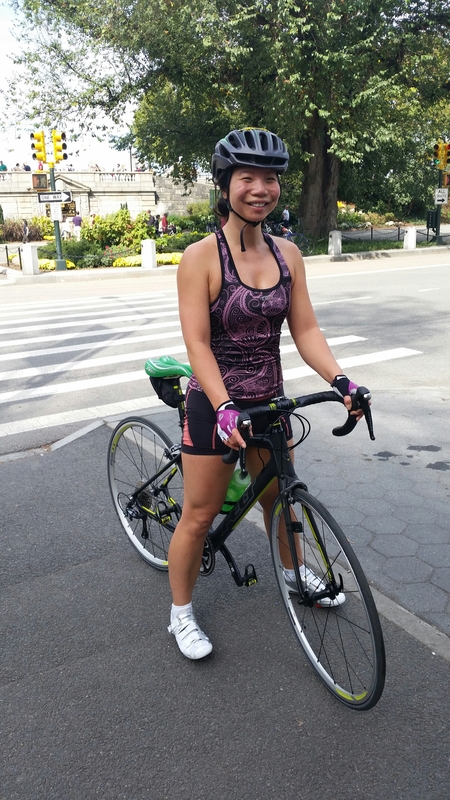 Three months later, and I’ve managed to climb a mountain in Malaysia, mountain bike in Croatia, and get back on a road bike in New York City, clocking 15mph on one of Central Park’s most unforgiving hills. I’ve a lot for which to be grateful. Yes, agreed! Just tried to mountain bike in Patagonia and boy was it hard!